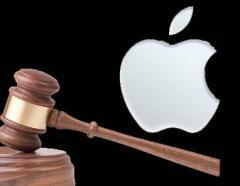 It was reported today that Apple was suing Amazon.com for trademark infringement over the use of the term “App Store”. Apple filed the complaint at the US District Court for the Northern California District on Friday that says that Apple wants Amazon to stop using “AppStore” referring to its soon to be launched Android market. Amazon is playing safe and said that its intention is to launch its own app store and sell apps for the Android platform which does not in anyway affect Apple or infringe over its business operations. Apple had asked Amazon to stop using the word “App Store” thrice already before moving to the lawsuit. Apple filed for a trademark on the term App Store in 2008 and it was initially rejected. However after refiling it was approved in 2010. Microsoft however protested the trademark saying it was too generic.